After fairly calm weather in many areas the last few days, severe thunderstorms will reappear (its May, after all) this weekend. 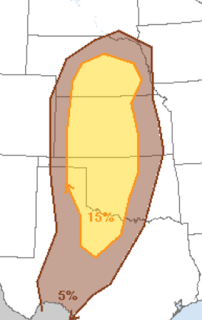 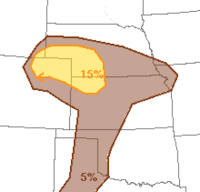 A small area of the High Plains will have the potential for a tornado or two as well as large hail. The yellow area has a chance for several tornadoes, large hail and damaging thunderstorm winds.